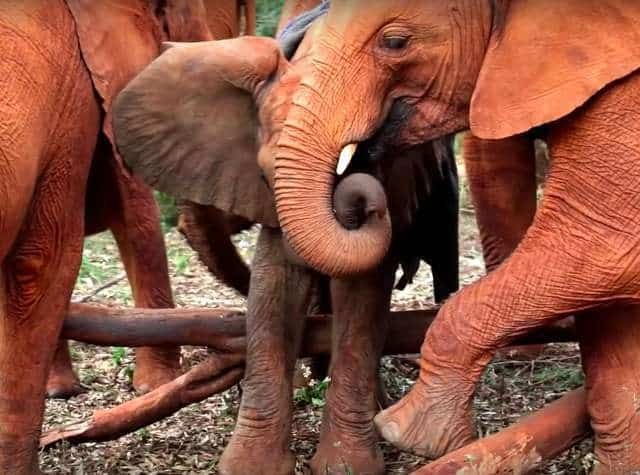 For one small elephant calf, his life was about to change forever. 1-year-old Mukkoka was roaming around a river in Kenya’s Tsavo East National Park. All of a sudden, he was alone, his mother and the other elephants were nowhere to be seen. The baby elephant became very lonely and scared. Thankfully, some rescuers from the David Sheldrick Wildlife Trust (DSWT) found the elephant calf just in time. 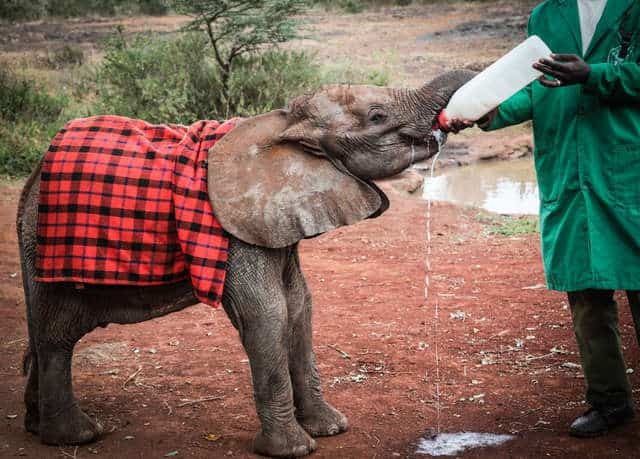 DSWT works to save and rehabilitate orphaned elephants. The team was doing an aerial sweep of the area when they suddenly spotted Mukkoka standing alone by the Tiva River. They tried to locate the rest of the elephant’s family but they just couldn’t see them anywhere. They took him there for medical care and a much-needed drink of milk. After a few days had passed, he was starting to feel a little better. The caretakers thought this would be the best time to try and introduce him to the other elephants on sight. After all, friendship can be a great medicine. As soon as the timid little elephant wandered over to the other elephants, they all rushed around him to shower the little baby with a whole heap of love and affection. At that exact moment, he had found a new family. 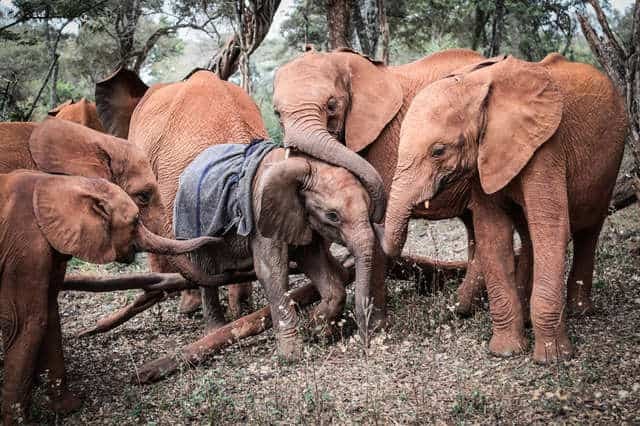 “They immediately enveloped him and led him out into the forest to meet the rest of the nursery herd,” said Rob Brandford, executive director of DSWT. 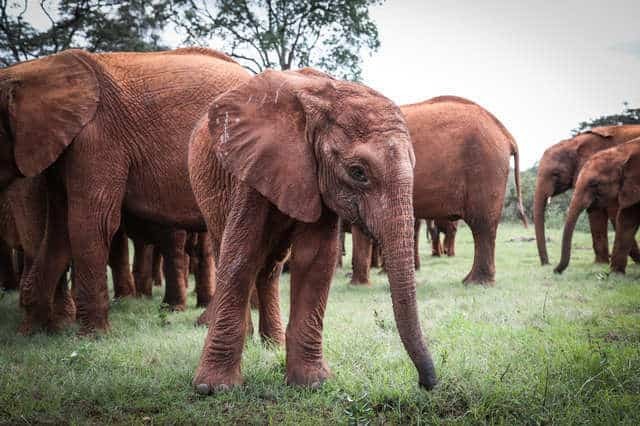 The greeting he was met with was a warm one, with the other babies reaching out their trunks to comfort and welcome Mukkoka as a new family member. We know that elephants are highly emotional and social creatures so seeing them all take this elephant calf under their wing was truly special. They all rely on each other for company, love, and care. Though it is something we have seen time and again, the empathy showed by these elephants never ceases to amaze. Remembering that they too have experienced the loss of their own family, their level of compassion is genuinely heartwarming to watch as they reach out to newly orphaned calves, offering comfort and friendship. While Mukkoka had lost his mother, he had managed to gain a new family to take care of him. 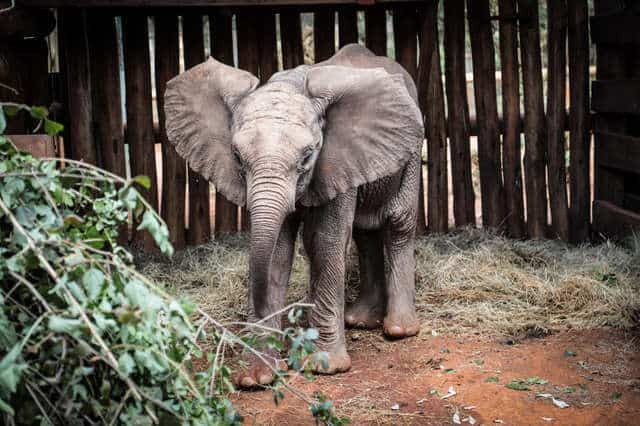 It’s more than likely that he will spend the next 10 years being cared for by the DSWT team until he’s reintegrated into a protected wild habitat. Touch [is] an important part of welcoming a new family member and making them feel safe. This loving interaction helps enormously as the orphans overcome the sense of loss. We’re just glad that this elephant calf is no longer alone. Elephants are such beautiful and kind creatures – we could all learn a lot from their compassionate nature.